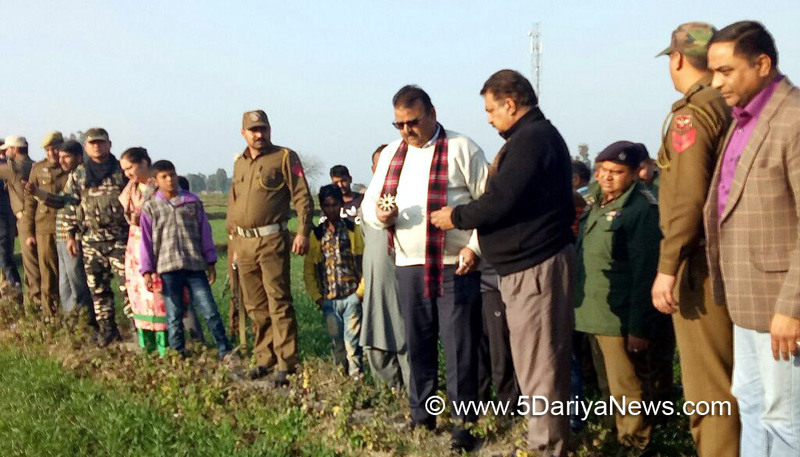 The Minister for Industries and Commerce, Chander Parkash today toured border villages Mahal Sahan, Jhar, Keso and Kamore camp of Ramgarh Tehsil and assessed the problems faced by people due to cross border firing. He was accompanied by Deputy Commissioner Sheetal Nanda, SSP Anil Magotra and other officials.The Minister met various public delegations at these villages and heard demands raised by these people. He directed officials to prepare beforehand for dealing with any untoward incidence and adhere to Standard Operating Procedures in case of rescue and relief operations. He also enquired about medical facilities available nearby and evacuation plan for the villagers. DC informed that administration is keeping close watch on the situation and suitable steps shall be taken as per the contingency plan.Interacting with the villagers, Minister informed that bunkers along the border have been sanctioned by Govt of India and it will help in mitigating their problems to a certain extent in future. He said that govt is aware of their problems and assured them that efforts are being made to undertake inclusive development in these areas.